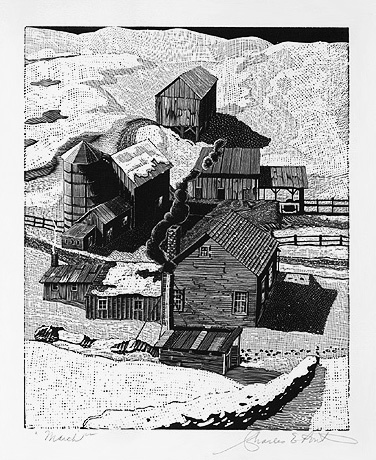 March - -c.1937, Wood Engraving. LC 2. Edition c.25. FAP NYC WPA. Signed and titled in pencil. Image size 9 7/8 x 7 15/16 inches (251 x 208 mm); sheet size 15 7/8 x 11 5/8 inches (403 x 295 mm). A fine, rich impression, with full margins (1 1/2 to 3 inches) on cream wove paper, in excellent condition.